Unfortunately teachers have so many things to do besides working with students. Technology should minimize or eliminate these distractions and administrative tasks so we can focus on what is important. From my time in the classroom, I have used all of the major student information systems and they go against everything I want in technology. The websites crash constantly, the interface is confusing, getting reports is tricky, entering grades is tedious and the list goes on. It makes sense why this is the case, these companies market their services to schools at a premium and with little competition there is no motivation to improve the product. What's far worse is if you change companies, your data is locked up in some proprietary format making it difficult to make decisions and refinements on how to best serve students. This isn't right. Education deserves a better product that is intuitive and fits the environment. This is where LearnBoost comes in. Developed by people who were dissatisfied with the current set of options, they sought to make disruptive change within this area of education. 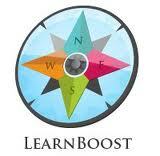 Does LearnBoost follow my three guidelines for effective technology in education? Absolutely! LearnBoost has followed the number one rule of technology design, ask your users. Its clear from the start that this was designed and refined with help from educators. Not too many of us arrange our classrooms in alphabetical order but this is the way most systems take attendance. LearnBoost's roster is in graphical format so you can take attendance by glancing at your classroom and seeing who's missing. Now you can focus on your students at the start of class. Recently, another game changing feature was rolled out, the ability to share lessons with others. Now the feature itself isn't necessarily mind blowing, it's how they are doing it. Rather than requiring you to link back to their site and have viewers register an account, you can share it the way that makes sense to you: on your blog, via social network, or email. Being able to share our best lessons, will benefit our students in the way that open source code and APIs have benefitted our educational landscape with a boon of free technologies for the classroom. The gradebook is exactly what you would want to take the frustration out of entering grades. But, you might say, "My school uses a different software, what's the point of doing all of this work in LearnBoost only to have to repeat it elsewhere?" Your grades can be exported as a CSV file to import into your gradebook. You might ask, why can't I sync them? While the team is working on this, most SIS companies do not want you to be able to move your data freely in and out of their system. It's just not good for business. Check and see if your school's system will import the file. Or better yet, convince your schools to use LearnBoost. The cost is far lower than other systems but with even more support and features. Best of all, if you are using Google Apps for Education, LearnBoost has integrated the two platforms so you can have one place for all of your calendar, files, lessons, grades, etc. Oh did I mention that this software is free and it works on your Chromebook, Laptop, Mac, PC, Linux, tablets and more coming soon. You can integrate it with Google+, Twitter, Wordpress, Facebook, and Posterious so you can integrate it with the social features that flip your classroom. I am not the only one who is impressed by this technology, many of my fellow bloggers (David and Audrey, among others) have been covering/using LearnBoost for some time now and there are testimonials of teachers and districts who swear by it. We can't lose, between saving our districts money and ensuring that our data will always belong to us the users, we ensure that there is one less thing preventing us from keeping our focus on our students and helping them to achieve. Connect with BrokenAirplane to keep up to date on innovations in education and technology.